After far too many years of failing at online dating, I went offline and stopped dating completely. With dating sites a major component of the new dating paradigm, many of us partaking in romance via technology find online dating at an all-time low, with men behaving horribly . . . because they can. With thousands of online lady choices, women are easily swiped away or ghosted into oblivion. This is often followed by weeks of tears . . . along with the compulsive consumption of chocolate. And God forbid your kid’s math teacher comes across you marketing yourself on Bumble. Even worse, you match. But do not despair, for those of us busy moms still holding out hope for that missing partner, what is old is new again: matchmaking—where a trained professional plays the role of old Aunt Sally, who in days gone by would say, “I know a nice man. You should meet.” Modern matchmakers take it a step further by being objective. After all, Aunt Sally may have liked this “nice man” because he gave her a discount on brisket. Much of the now more than 3,000 matchmakers in the United States credit their current success to the popularity and resulting disgust with online dating. Unlike dating sites, matchmakers don’t work on algorithms but operate on the assumption that you know what you want, so why not let a professional find it? How about putting your love life in far more reliable hands than the internet? Until recently, matchmakers were mostly contracted by men with the money to hire an expert to sort through countless women on their behalf; masters of the universe who were not the sort to hit bars and Bumble. One high-end New York matchmaker charges men upwards of $100,000 per year, while charging women nothing. I gave her a try. After all, it was free, and the idea of marrying way, way, way up had this Solo Mom planning her honeymoon on a private island in Fiji before the first meet. I didn’t like it. Bottom line? A man paying 100K to pick me from a catalog of women felt kind of prostitute-like—and that’s no way to start a relationship. Thankfully, “rich men shopping for women” is no longer the norm. Now us regular gals reportedly make up approximately 60% of matchmaker customers, typically spending about $5,000 per year for the services. And for those of us who don’t want to shell out for a personal Cupid, many services offer a free database, where just filling out a form and providing a couple photos will put you in a dating pool that matchmakers use as their first go-to on their searches. Matchmakers can be found online, in ads, or by word of mouth. I found mine via Instagram hashtags because I was looking for a more intimate, less commercialized agency. In general, before potential clients purchase an official membership with all the bells and whistles, matchmaker “recruiters” will conduct an initial consultation to find out what type of partner the client is looking for. Recruiters are the ones who will go out and find your man. Be prepared for an odd interview, with your recruiter delving deep into your life and psyche. Questions might include your educational background and what you’d want in a man, income, religious beliefs and preferences, yes or no on children, ethnicity preferences, how you’d dress for a date, bald or hair, body-type preferences, hobbies, your dream date, and your deal breakers. Mine: he can’t be married! And in my experience, separated is married! My recruiter will not consider a man unless he is divorced and has had at least one previous relationship—as in, I won’t be his “transition girl,” which I’ve been far too many times. My recruiter encouraged me to ask for whatever I want, the more information, the better. I went as far as to ask for a dude who surfs. I have a weakness for surfers. Your very first match is with your recruiter—generally a woman. If your recruiter isn’t a match, she may refer you to another recruiter within her firm or another service better suited for you, or offer to put you in the firm’s free dating pool. If it’s a go, fees will be paid, and the official process begins. Then off she goes—searching the firm’s databases, other matchmakers’ databases, even dating sites. She’ll go out into the world looking for wedding-band-free men at high-end restaurants, special events, parties, even airports—any sort of watering hole where higher quality men might linger. 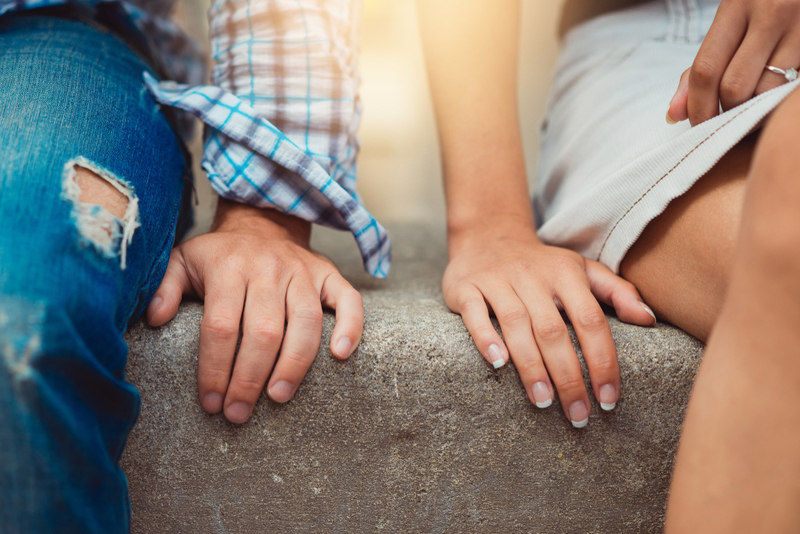 The second step in the matchmaking process is to be matched with your personal matchmaker, often a marriage and family therapist, who will really get to know you and explore any issues you might have with men and relationships. Your matchmaker and recruiter will work together to determine your matches. There is a photo shoot. Sometimes this involves makeovers to change up wardrobes, unbecoming hairstyles, even body “challenges.” I hate this approach, as hits to the self-esteem are the last thing a vulnerable gal needs when dating. I prefer the matchmakers who let you be your own guide, choosing your own style of dress, hair, and makeup—capturing who you really are yet in the best light, metaphorically and physically. After all, this is the woman your date will meet, and don’t you want someone who wants the real, wonderful you? The general rule is the man pays for the first date, ergo worst-case scenario is you get a nice dinner away from the kids, wearing your non-mom clothes, knowing in advance that the dude’s already decided you are terrific. Even better, this man has been coached on how to be a gentleman, listen to you when you speak, tell the truth, and not eat with his mouth open. Once you actually start dating, you are assigned a “dating consultant,” or coach. These dating coaches literally teach clients how to date: how to engage in conversation; stay away from controversial topics; and avoid dating “no-no’s,” such as talking about themselves all night, talking too much, or worse—whipping out pictures of their cats. Postdate, you and your matchmaker will discuss what you like or don’t like about the guy, how it went, and whether you want a second date. They also break the bad news if your dream man doesn’t want date number two. This is when the therapist aspect of your matchmaker comes in super handy. Like anything in life, matchmaking can be hit or miss. But given the decay of online dating, busy schedules, and success rates, matchmaking might be your best shot at a love connection. And given the availability of free databases, and the newfound desire people have to actually connect, face-to-face, on a human level, matchmaking could easily surpass the Bumble mentality. Throw in a free meal with a nice man and what the heck? You may as well give it a shot.